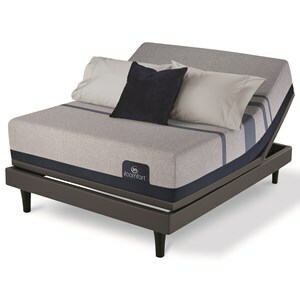 The iComfort Blue Max 1000 Plush King Plush Gel Memory Foam Mattress and 5" Low Profile Foundation by Serta at Hudson's Furniture in the Tampa, St Petersburg, Orlando, Ormond Beach & Sarasota Florida area. Product availability may vary. Contact us for the most current availability on this product. 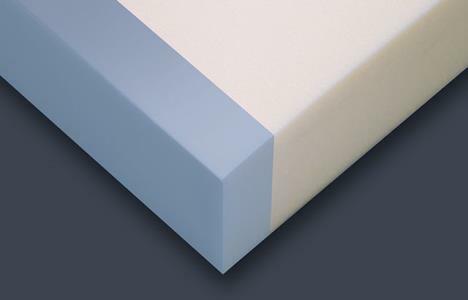 ISM-500800199-6020 Twin Extra Long Low Profile Base 5" Height 2 5"
The iComfort Blue Max 1000 Plush collection is a great option if you are looking for Mattresses in the Tampa, St Petersburg, Orlando, Ormond Beach & Sarasota Florida area. 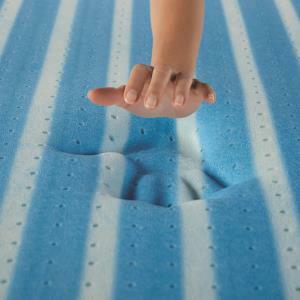 Browse other items in the iComfort Blue Max 1000 Plush collection from Hudson's Furniture in the Tampa, St Petersburg, Orlando, Ormond Beach & Sarasota Florida area.